Family Time Fitness & Tablet Giveaway! Hi everyone! I know you all love the Family Time Fitness giveaways I’ve been doing, and they just keep getting better! 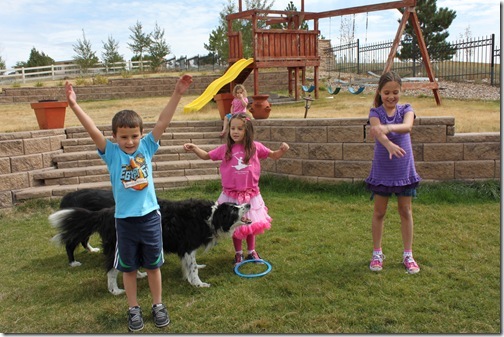 The month of March is the 2013 Fitness 4 Homeschool Ultimate Giveaway! So included what’s this ultimate giveaway? A PC Samsung Galaxy Tab 2 7.0 Tablet, with a 7” Screen, 8GB Storage, Android 4.0, Bluetooth and Wireless PLUS The Platinum Fitness Package is Pre-Loaded on the device! If you have wanted this curriculum or just saw it for the first time, now is the time go get it! Select products are featured at a 20% Discount for the length of the contest, so make sure to visit Family Time Fitness soon to get the discount! What happens if you purchase the product and you win? Family Time Fitness will refund the money you spent when you purchased your products during the giveaway. So buy with peace of mind, if you win you get your money back! Why do such an awesome giveaway? Proceeds from the 2013 Fitness 4 Homeschool Ultimate Giveaway will help support these amazing children’s charities: HSLDA (Homeschool Legal Defense Association), and the Easter Seals Disability Services. Both charities are dedicated to bringing hope, creating happy memories, and improving the quality of life for children who’ve experienced life-altering situations. And your participation can help! Why do we like this program? We’ve been using FTF for about two years now and the kids are STILL loving the activities, and I like that they’re super easy to do without a lot of prep work on my time. I simply print my lesson plans as they are sent to me. I keep them all in a binder for easy access, then whenever we are ready for our lesson I bring out my binder and flip to the next lesson and get started! The giveaway will run from today until March 31, 2013! Simply click the link below and signup to win! Are you supposed to do most of the activities outside? (I don’t have a large area inside for the four kiddos and myself). We live in a cold, windy winter climate, so just wondering how that would work? Perfect timing! I found this curriculum a couple of years ago but wasn’t in a position to purchase it until now. However, I couldn’t remember the name of it and my scouring of the web was unsuccessful and I was growing discouraged. sounds like a great curriculum! Thanks for posting about it! Wow!!! This would be WONDERFUL…!!! Thank you for all you do!!! Fitness program looks great. Thanks for sharing!